Eat at Restaurant Punta Sabbioni during your Best Venice Italy Holiday ! I know Venice Italy a little bit, that’s why I want to show you this very nice place. Best restaurant Punta Sabbioni, named ‘Albergo Villa Gentile’. A great haven for Venice lovers, in my favorite village ‘Ca Savio’. This village is situated at the end of Punta Sabbioni in the region Cavallino-Treporti. The place where many campsites are. The restaurant which I want to let you know is; ‘Albergo Villa Gentile’, a restaurant and hotel. The service in the hotel I didn’t experienced myself but it seems fine. Since a couple of years when I’m visiting this area I'm going to eat here, and ...... the food is very good, my favorite! They have a good service and they have a super appetizer with various fish species. Perfectly prepared by the chef, a real pleasure. The pizzas are like a painting. Really a restaurant where you can eat a variety of food with tasty seafood and shellfish without worrying that you're going to be sick. Really a nice place in 10 min walk from Punta Sabbioni and 2 minutes to the bus stop. Parking at Punta Sabbioni costs 5, - per day. I am going there back again to enjoy. I hope this is a great review on you Venice Restaurant page. Great tip about this restaurant. I didn’t visit this restaurant yet, but I’m surely will do that after your wonderful Restaurant Venice tip! 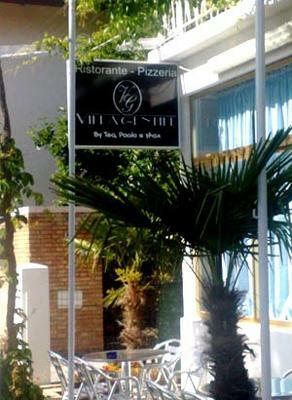 How to reach Restaurant ‘Albergo Villa Gentile’? From Venice you go with the vaporetto boat to Punta Sabbioni. Then it is indeed about 10-20 minutes walk. Take vaporetto line 14 from Piazza San Marco 'S. Zaccaria" (about 35min). Or take from F. Nove the Laguna line no. 12. Then you will pass the islands Murano, Burano, Treporti and this boat trip is about 80 min. 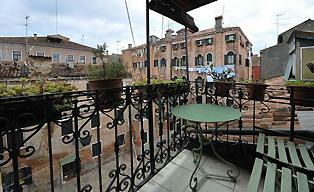 You have read about Restaurant ‘Albergo Villa Gentile’ nearby Venice. There is enough Italian cuisine to explore, as you can see. Please click on the links to explore my site more.